The Durham Office provides emergency financial assistance, accredited immigration legal services, a weekly food pantry, and nutrition classes for families. 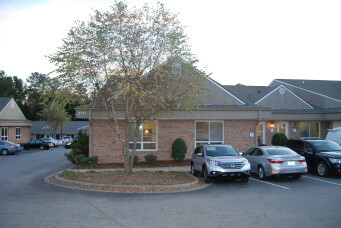 The Durham office serves the counties of Alamance, Caswell, Chatham, Durham, Granville, Orange, Person, Vance and Warren. Centro La Comunidad is the Latino family center of Catholic Charities located in Burlington, NC (Alamance County). The center provides information and referral services, goal-oriented case management, immigration legal services, employment services, disaster response services, community workshops, and advocacy. For Centro la Comunidad services, visit Centro la Comunidad locations page. Catholic Charities provides referrals to ensure that those in need of mental health counseling are connected with licensed, affordable providers. At this time, clients in the Durham area are referred to El Futuro, a nonprofit agency which offers counseling services in English and Spanish. Persons in immediate crisis have 24-hour access to mobile crisis services by calling 1-800-510-9132. Families are invited to access our food pantry up to once every thirty (30) days. In addition to non-perishable items, meats, eggs, and fresh produce are available for those in need. Nutrition classes led by a trained nutritionist are also offered. The objective of the “Eating Healthy on a Budget” course is to increase the community’s awareness of healthy, affordable food options and access to healthy foods to supplement household food insecurities. It is estimated that between Durham and Orange counties, there is currently a 1.5 million pound food shortage. Catholic Charities is working with community partners to open the Durham Community Food Pantry in 2018 to address this need. Visit the Program Page to learn more about this exciting initiative. For more information about the food pantry or nutrition classes, please call the Durham office at 919-286-1964. Please be advised, our staff is not able to represent families during legal proceedings. All cases related to deportation or a removal situation are referred to the NC Justice Center. Eligible clients can also receive a “Faith ID,” an identification card that is recognized by municipal police departments for individuals who are unable to obtain state-issued identification. These “Faith ID” cards a collaboration between the Durham Police Department and local community organizations. With the support of area churches and individuals, we provide limited financial assistance to those facing imminent eviction or disconnection of electricity, or those who are temporarily unable to afford food or essential medications. For more information about emergency financial assistance, please call the Durham office at 919-286-1964. Volunteers play a vital role in the services that Catholic Charities provides. Volunteers assist with all aspects of our work, including reception and the food pantry (stocking shelves with food, organizing and implementing logistics for food donations and distribution). To find out how you can volunteer, please contact the Durham Office at 919-286-1964.